Posted here (above) as a PDF file is Alfred Kazin’s article “Theodore Dreiser and the Critics,” which was originally published in a paperback book, The Anchor Review, Number One, in 1955. 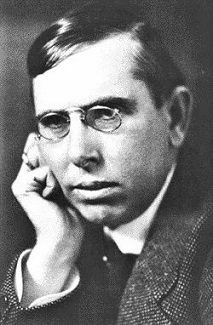 The article was subsequently published in The Stature of Theodore Dreiser: A Critical Survey of the Man and His Work, edited by Alfred Kazin and Charles Shapiro (Indiana University Press, 1955). This is a brilliant essay. It is fair to Dreiser in recognizing and evaluating his strengths as well as his weaknesses. It shows why Dreiser mattered to his generation, and still matters. Kazin says an awful lot in a few pages, not seemingly missing anything essential about Dreiser. I have one quibble with Kazin’s article. He says that in Sister Carrie “there are scarce any philosophic reflections or deductions expressed.” Sister Carrie seems to actually be replete with such authorial musings, which are admixed with the narrative, no doubt reflecting Dreiser’s naïve but sincere interest in the works of social philosophers such as Herbert Spencer. This entry was posted in criticism and tagged Alfred Kazin, シオドア・ドライサー, シオドア・ドライザー, シオドー・ドライサー, シオドー・ドライザー, セオドア・ドライサー, セオドア・ドライザー, теодор драйзер, Roger Smith, Roger W. Smith, Theodore Dreiser, Theodore Dreiser Sister Carrie on July 15, 2018 by Roger W. Smith. Kazin piece is super–many thanks!